Patients today are expected to take an active role in their health care decision-making. You and your doctor must be able to communicate freely and equally to ensure that you understand all available treatment options. It is also important to make sure that your doctor understands your fears, concerns and expectations about life after treatment. At this point, you will be under a great deal of stress. You will move from the familiarity of your primary care physician into the world of specialists, such as urologists, genito-urinary oncologists, radiation oncologists, medical oncologists or complementary medicine specialists. It is critical that you consult with more than one of these specialists before you decide on your choice of treatment! Stress will make it difficult to remember the information you hear during an appointment. So, we highly recommend that you go to every appointment or consultation with a companion, be it your spouse, life partner, support group associate or family friend. Write a list of questions before your appointment and show it to whoever comes with you to the appointment. This support will help you remember and understand what you are told and ensures that all of your questions get asked and answered. Also, you or your appointment companion might want to take notes. You can ask the doctor write down the important information, give you printed material to review, or ask permission to tape record the appointment. Using any or all of these tools will help you evaluate the information you receive in an appointment, and this is crucial to making appropriate treatment decisions. Drug Assistance Programs - RxAssist is a website designed to help you find ways to get affordable, or free, medications. The database includes information on pharmaceutical companies' patient assistance programs, or programs that provide free medication or low cost medications to low-income patients. RxAssist was created by Volunteers in Health Care, a national, nonprofit resource center for health care programs working with the uninsured. Free Clinic Foundation - this listing provides information on clinics throughout the country where screenings and healthcare can be obtained. 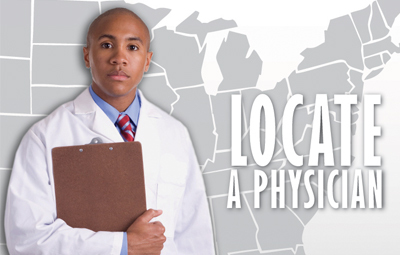 The Federation of State Medical Boards provides information on physicians licensed in the U.S. As to specialties, education, disciplinary sanctions, etc. Comprehensive site that details where to find participating doctors, service providers, enrolling in the program, comparing prescription prices, etc. A comprehensive discussion of conditions relating to the prostate important for all men, but with particular emphasis for African-American men who have the highest rates for prostate cancer incidence and mortality. 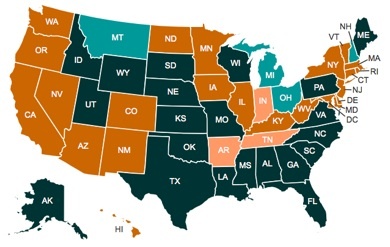 Site maintained by members of 19 state medical and osteopathic boards providing data on healthcare practitioners including licensing and disciplinary history.